1. What is the difference between oil and water based foundation? 2. Why should we pick water based foundation for dry skin? 3. What is the best water based foundation for dry skin? Do you have a super dry skin with the problem of cracking and discoloration? Sometimes, it seems hopeless to find a proper foundation that does not come from oil. But believe us, after reading this article, you will see the best water based foundation for dry skin that can solve your problem within a second! What is the difference between oil and water based foundation? Not only for people who own a sensitive and dry skin, anyone who intends to purchase a skin foundation should notice the type of this cosmetic. If possible, you should perform a skin scanning to know exactly your skin condition before choosing the right products that get well with your body. As there are six primary kinds of products available: oil, mineral, powder, silicone, alcohol, and water based foundation, each one will suit a particular skin type and bring up a perfect finish when applied correctly on your face . But since mineral, powder, alcohol, and silicone foundation is not recommended for dry skin due to its thick texture and a dry result, we will help you distinguish the other two of foundations. In one hand, when looking at the cover of an oil based product, you will see it is made from an oil (such as mineral oil or argon oil) – which means this compound appears at the top of the list. Meanwhile, among the ingredients in the water based foundation, it is not surprising that water is the major element. It may be written in another name of “aqua” or “eau.” Water based products sometimes contain a small amount of mineral oil compound, but water is still the fundamental ingredient. With an oil based makeup foundation, the layer appears thicker and greasier. If water is the main ingredient, your make up cover should be lighter and thinner. Why should we pick water based foundation for dry skin? People commonly choose oil based foundation if they have dry skin because it provides extra moisture after applying on your face. It is believed that any products that come from oil should help you deal with the dry problem, as they are promised to bring up a healthy and dewy finish. If you do not spread the layer evenly, the makeup layer could be super greasy and thick, especially for dry skin (as most oil based products are in cream form). It takes time for oil to penetrate the skin completely, so you may feel a little bit slick and shiny. For people with dry combination skin, applying it on the oily areas may stimulate clogging and oily outlook. Water based foundation, of course, is not a bad option in this situation. You just need to hydrate your skin carefully before makeup procedure to ensure the gorgeous outcome. Here are some suggestions to help you choose the suitable foundation for dry skin. What is the best water based foundation for dry skin? With 30 shades that marked by numbers, now it is easier to choose the right color that fits your skin. Besides, this foundation contains sun protected factor (SFP) of 15, which means it can protect your face against harmful UV rays in a long time if combined with suitable sunscreen. 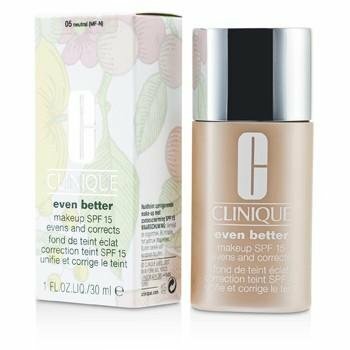 This oil free and paraben free foundation will assure a natural outlook for the whole day and help camouflage signs of aging as well as the imperfect spots on your face. 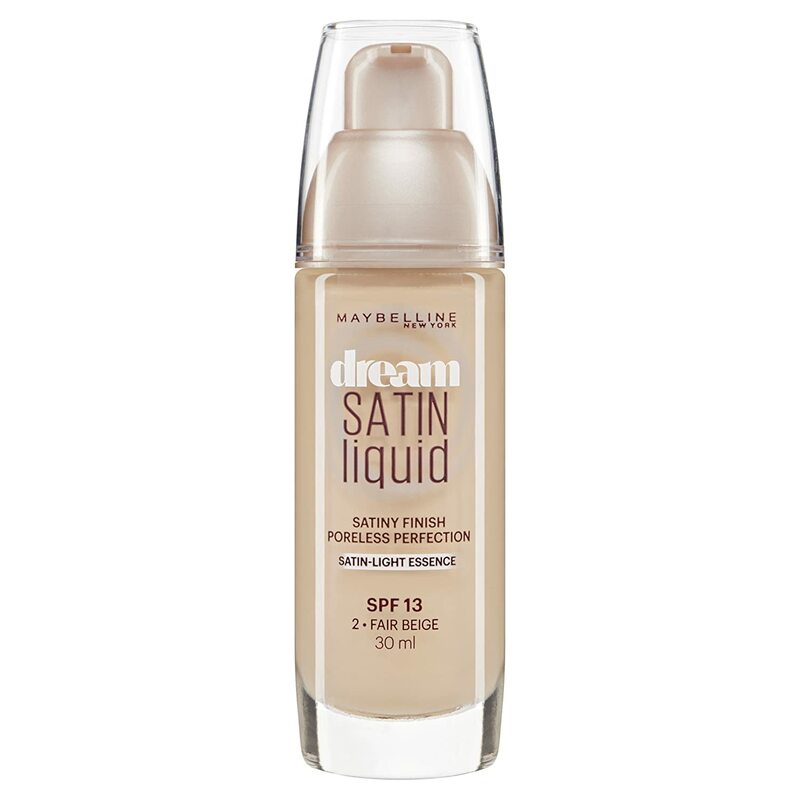 According to customer’s reviews, this air-whipped liquid can cover your face better than any other water based foundation in the same kind. For dry skin, this product is oil free and fragrance-free, so it suits with almost sensitive and irritated skin. As the name implies, it is expected that you will have a perfect satin finish after applying the liquid on your face. 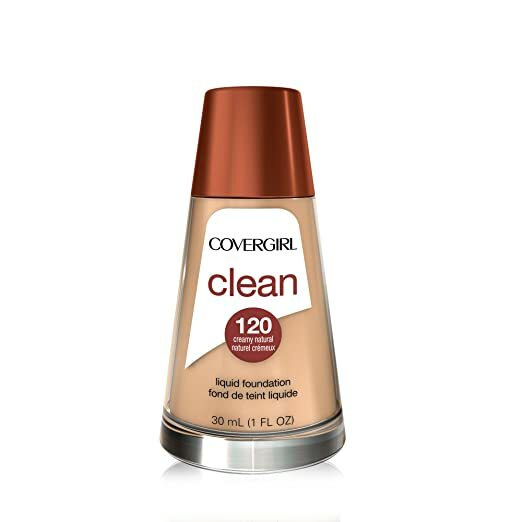 Many customers concluded that this foundation is the lightest one that can cover 100 percent of their blemishes and redness. There are over 20 shades for you to choose, ranging from natural Ivory to Rich cocoa that designed for the tone of your skin color. One thing to remember, you should shake the bottle well before using to blend the liquid and make sure it is not clammy after the previous applications. With a lightweight texture that designed to penetrate the skin quickly and allow the skin to breathe, this product can deal with problematic skin such as dryness, acne, and sensitive. Your skin will appear smooth and flawless with just a thin a natural coverage. You can apply this cream-like liquid on your forehead, cheeks, and chin using fingers or sponge, then blend it to cover the whole face. The only cons of this water based foundation are the odors. For people who prefer non-scent cosmetics, the smell of this foundation may be a little bit intense for them. With the hydrating complex that collected from the deep sea, this water based foundation is a potential solution for the dry and sensitive skin. You will no longer worry about the presence of cracking line after applying because it helps balance the moisture amount on your face and cover the imperfections almost instantly. Some fans of this foundation said that they even don’t know that they are wearing a layer of it, as the texture is super light. It brings up a flawless and smooth finish that convinces the prissiest clients. Unlike other brands that provide dozens of shades, this foundation only has nine tones for you to choose. However, some tan colors are worth trying if you want to own a tanned skin outlook. 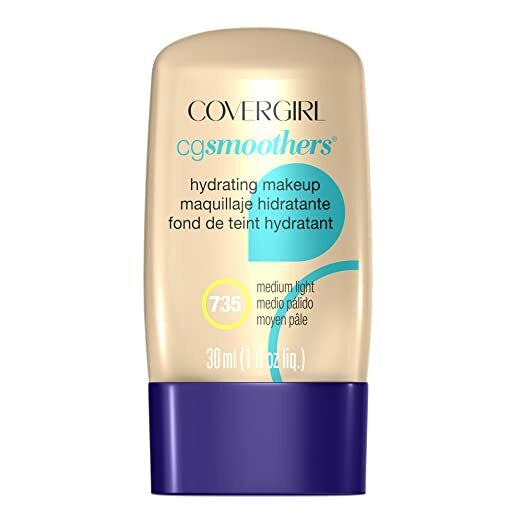 This water based foundation allows the moisture stay on your skin for up to 11 hours and maintain the smooth and soft texture for dry skin. It can be applied easily using fingers and will not clog the pores. The ultimate benefit of this product is that it can save a significant budget compared to others high-end cosmetics. Some customers said that they spend only 5 dollars buying this foundation, but the perfect result makes them feel that it cost 50 dollars! Among the listed brands, this one provides the least shades, and most of them are light tone. So it best suits with people who own pale or light skin color. If you still want to know more about other products, why don’t you take a look at this article WHAT IS THE BEST FOUNDATION FOR DRY SKIN? Prior to any other cosmetics layers, the most vital key is to keep your skin hydrated by applying moisturizer correctly . The areas around your eyebrows, nose, and mouth usually are skipped when using skin care products, so they often develop dryness (such as scaling, itching, and cracking). That is why you need to focus on those particular areas when using moisturizers. The perfect time for hydrating steps is before makeup, after using a cleanser and before going to bed. If you don’t know, a primer is a sheer substance that penetrates the skin easily and makes your face smoother before applying foundation. For dry skin, the primer is essential because it prevents other makeup layers from getting stuck to the dry patches. Some special areas on your face need their own designed primer, such as the eyes and eyebrows. With a small amount of primer on your eyelids, it will be easier for you when applying eye shadow and eyeliner. To apply primer on your skin, use a peanut-size of the gel on your chin and nose, and double that amount for the forehead and cheeks areas. After that, tap it on using your fingers to blend the gel evenly. Any powder cosmetic is considered the enemy of dry skin, as it absorbs the natural oil layer on the surface. Using powder makes your skin even drier with a patchy look. So, instead of applying for powder coverage, you should spend time looking for a high-quality liquid or water based foundation for dry skin and stick with them. Similar to powder, you need to avoid fragrance products to protect your skin. By looking at the list of the ingredients when buying any cosmetics, you will know which one could harm your skin. Applying makeup on dry skin requires more complicated steps, and water based products are completely acceptable if you use them right. Hope that with our review about five best water based foundations for dry skin above, you will find the most proper one that gets on well with your makeup style. If you find this article helpful, click on LIKE and SHARE to let us reach millions of internet users out there! Don’t hesitate to ask if you have any question; we are very pleased to help!